We will be addressing the important historical story surrounding Fort Ligonier. The subject is literally chock full of regional interest, involving as it does some significant places and quite a few well known and famous characters from our past. I decided it well and proper to include a glimpse of the modern area and relate some choice details of the environs, for added interest. Here's hoping you find it enjoyable. Ligonier is fifty miles east of Pittsburgh and can be reached on Route 30. The road itself is historically part of the 'Lincoln Highway', (the map of the official site is there to click on for your convenience), and runs right through the borough. With the notoriety of being the first transcontinental highway in the United States, the area was also served by the Ligonier Valley Railroad, going back to 1853. In the older historical matter both were basically carved out and formed in the 1760's. Ligonier is a borough, surrounded by the township which is a separate municipality, just so we have that straight! Ligonier encompasses the villages of Waterford, Darlington, Wilpen and Laughlintown. They are served by U. S. Rt. 30 and PA Rt. 711 near to Latrobe in Westmoreland County of this great state. By the way, Latrobe is the home of the David Strickler invention, the 'Banana Split' at Tassel's Drug Store in 1904 with 'Ice Cream Joe'. Thus we are again in the Laurel Highlands of southwestern Pennsylvania. Staying properly within the framework of this post, the Borough of Ligonier was incorporated in 1834. Colonel John Ramsey, who's house was later used as a tavern stand, (History of Westmoreland County, Vol. 1, John Newton Boucher, 1906), laid out the town with the distinctive diamond in the Historic District in 1817, somewhat reminiscent of Mt. Pleasant. In the early 1840's meetings were held to determine whether to create the county of Ligonier and the politics that went with that debate were all too evident. For example, similar meeting held in Donegal rejected the concept as "a wild scheme." Added to the National Register of Historic Places in 1994, there are many buildings in the Federal and Late Victorian styles of architecture. The old railroad station is eye catching. Sadly, the Ligonier Valley Railroad closed down in 1952. Originally called 'Ramseytown', then 'Wellington', the name of Ligonier was finally settled on . A word on that soon. Near here is Idlewild Park, one of the oldest amusement parks in the state and the country, founded in 1878. Many of us well remember the paddle boating on the lake, the large picnic area with our families, still very much in operation. There have been some interesting changes that space will not quite allow us to go into here. William Darlington gave the privilege of the land over to one Judge Thomas Mellon to use for picnics, campgrounds and fishing rights back in the day. It further contains the Olde Idlewild area brought in by 1931 which, of course, has the oldest rides there. At Idlewild you find the ' Hootin' Holler' western town and the Soak Zone. I think my favorite ride was the Tilt-a-Whirl, but the Caterpillar was nice as well. In 1981 Storybook Forest, 'the land of once upon a time' was included in the park ownership. It was built in 1956 with a rustic, nursery rhyme theme to it. Nearby, off of Route 91 or 110 of the PA Turnpike is the 5,000 acre Seven Springs Mountain Resort, the ski lodge in Fayette and Somerset Counties which started out as originating from a Laurel Highlands farm beginning in 1932, with fishing, hiking, golfing. shooting and many year round events. It has a history of it's own. The railroad, which relied on oral orders, not requiring written confirmations, experienced a tragic disaster in July 5, 1912 when a northbound locomotive collided with a southbound freight train. Most of it was shut down in 1952. There are said to be stations still standing, as it ran along the modern Rt. 30 by Loyalhanna Creek. A special note: watch your 'p's and q's' around here as they do have their own police force! Here, where there was once said to be an Indian Fort of Delaware and Shawnees near what became known as 'the Post at Loyalhanna', Fort Ligonier, at 200 South Market Street, was built in 1758, and was garrisoned for eight years. The garrison was considered a very important place of communication and also for the supply lines during Pontiac's War. The Catawba Indian Path crossed north-south through the valley. The Glade Path road drew east-west. 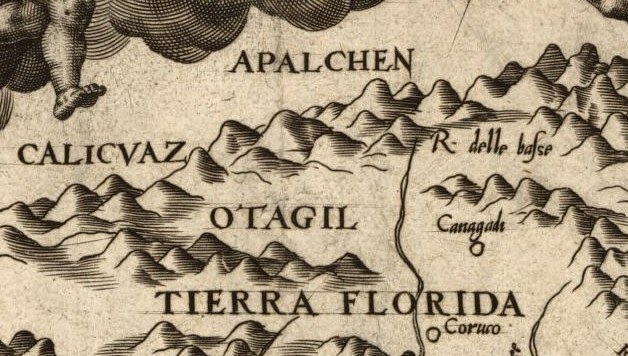 Listen to a response to Virginia by then Governor Morris, "there is no waggon Road from Carlisle West through the Mountains, but only a Horse Path, by which the Indian traders used to carry their Goods and Skins to and from the Ohio..." The story of the Glade Pike is to be found more fully in a previous post on 'The Origin Of The Counties' from our last Fourth of July. Following the Governor's declaration, Colonel James Burd was commissioned with opening and widening of the Path, and that is exactly what he did. It didn't make it to the Great Crossings or the Turkey Foot crossing at Confluence either. Still, with help from Col. John Armstrong of Kittanning fame, and frontiersman George Croghan, the road penetrated into the deep woods of the Allegheny mountains. This was at the same time as the opening of Braddock's Road with the help of one George Washington. More on him further on. Technically, the old fort on the 'Great Western Turnpike Road' was under attack twice and later decommissioned in 1766. Supposedly capable of holding as many as 5,000 troops, the fort was attacked by the French in October 12, 1758, of the same year. The modern fort is a reconstruction, very similar to the type of frontier fort of the 1700's as represented with the museum which retains period artillery pieces and rare paintings. By the way, a great place to visit is the fine Fort Bedford Museum of Bedford County. Laughlintown is said to be the oldest village in the Valley, laid out in 1797 on the old state road. A bustling place from the days of the stage coaches and wagon trains until the coming of the railroads passed it by. Boucher, (quoted above), claimed Daniel Webster passed through the area and Zachary Taylor graced it with his presence in 1848 for a reception, as well as at Ligonier House, built by Thomas Seaton, while Taylor was running for the presidency. I might also point out that the township once boasted of 22 schools. Henry Reed, one of the older settlers, owned the Freeman Farm nearby that was said to be occupied frequently, for a time, by Indians. Interestingly enough, Fort Ligonier was named after one Sir John, 1st Earl of Ligonier in 1766 and he then became Field Marshal. Ligonier lived from1680 to1770, dying at 91 years of age. A French-born soldier for the British side in the wars of Queen Anne, he soon succeeded in becoming a Field Marshal under the then Prime Minister, the Duke of Newcastle, Thomas Pelham-Holles and Secretary of War William Pitt, of Pittsburgh fame. More on that to follow. 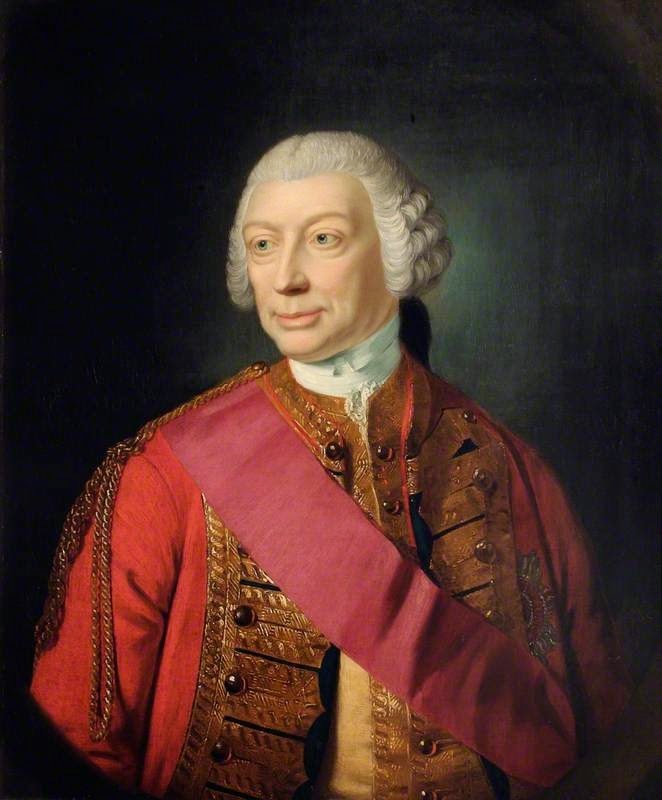 He was a distinguished officer of Her Majesty's Privy Council and a member of the order of Knighthood known as the Most Honorable Order of the Bath, knighted by King George II, and was Commander-in-Chief Of the Forces, from 1757-1759, (of the British Army), under George the third. An interesting footnote of irony must be added here. Per: The History Of Westmoreland County by Boucher, pg. 593, Sir John's nephew, one Edward Ligonier, who himself had a fairly distinguished career including winning a duel against an Italian poet whom he felt, (and soon divorced afterwards), was making sentimental advances toward his wife, a daughter of the Lord Chancellor, came to America as a colonel of the Cold-stream Guards soon after the start of the Revolutionary War. "In 1783 he died in America, without children, and so the lordly line of Ligoniers died with him." 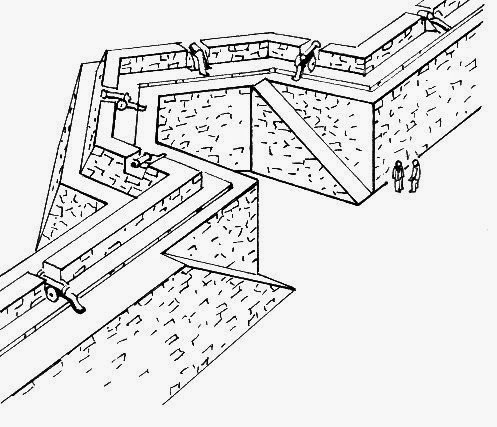 The palisades of the fortifications for Fort Ligonier were over 500 feet long. This includes the officer's quarters, along with the soldier's cabins outside. The stockade had mounted cannon. There was a covered way leading to the spring on the east side for the ease of access to fresh water. A logged gate was held together with iron hinges. There was said to be a smaller fort that was built by the local settlers near the creek bank sometime later, called Fort Preservation. Nothing much appears to be known of it. The skirmish was sometimes called 'The battle of Loyalhanna', which occurred during the years of the French and Indian War, taking place in 1758 on October 12. Way back when we were still a British nation of colonies. This was a few years after the losses of the large scale Braddock Expedition and it's heralded failure to take Fort Duquesne on July 9, 1755 back from the French at the 'Battle of the Monongahela'. This was the second military attempt Washington was directly involved in. He was then at the ripe age of 23, though not as commander, but as aide-de-camp. The Battle of Jumonville Glen was, technically, his first battle and in that skirmish he was successful. The attack made on our fort in mid October the 12, at 11:00 a. m. in 1758, was ultimately unsuccessful. The French and Indians were repulsed from their positions within a few hours of fighting the British in total frustration on their part. A force of about 1500 under de Vitri approached from the southwest, against approximately 2200 occupying the fort area. Forbes' large army was yet to arrive there. The firing went on for approximately four hours. As Bouquet was absent near Stoyestown, James Burd was in high command. He deserved congratulations for keeping a cool head. In the evening, Burd threw mortar shells into the woods among them in answer of the Indian music played to them, and the French and their Indian allies retreated. The loss to the British was sixty three, but the loss to the Indians was said to be much greater, though the number was not recorded. The 50 days it took Forbes to reach the fort in very difficult terrain left the men exhausted and himself even sicker in his condition. From here, Forbes with Washington at the head and with Armstrong, the Kittaning hero, marched 12 days to reach Fort Pitt. Perhaps, now would be a good time to elucidate briefly on this Fort in Allegheny County as to being so closely tied to Ligonier. 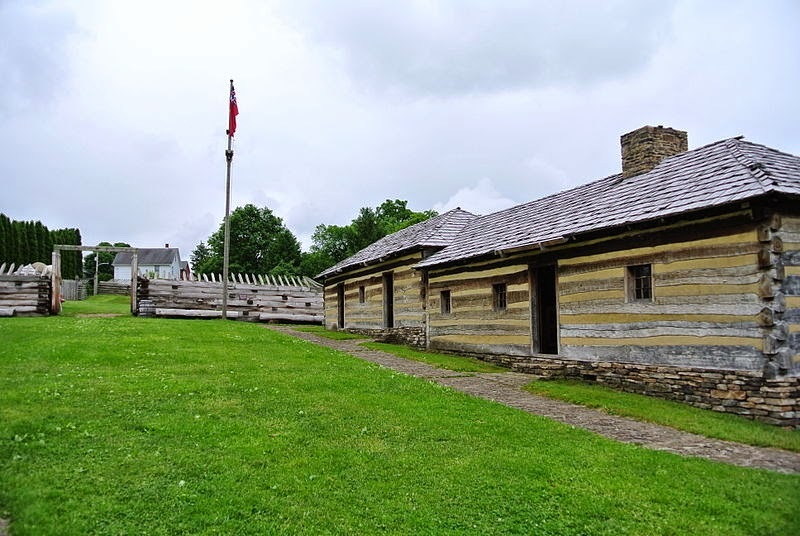 Captain William Trent's Fort being established early in 1754 and then a block house dating from 1764 at the forks of the Ohio River and the confluence of the Allegheny and Monongahela. This was a large remote supply post straddling the territory opening up the Western frontier. There is further intruiging material related in the 'Minutes of the Fort Pitt Society, DAR of Allegheny County, Pa', from the late 1950's to the early 60's, and info on Daniel Brodhead, Hugh Mercer, and Lord Dunmore himself, though beyond the scope of this article. 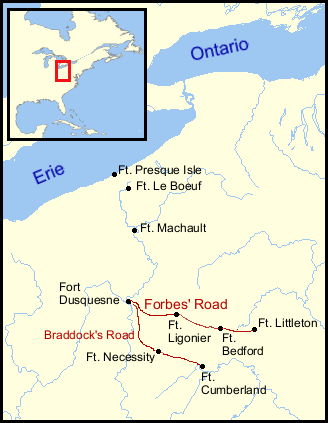 After the capture of what would become Fort Pitt, at the old Indian 'Shannopin's town', Henry Bouquet took on the provisioning and logistics of the new fort as well as building Erie and Waterford up north. The time: July of 1760 in what was really the molding of a true hero in his own right; a courageous, perceptive and level headed soldier, if ever there was one. With the situation favoring the British and the French abandoning their forts and territory, the Indians beefed up their defenses and returned to the offensive, By 1763 Pontiac's War had begun in earnest and on August 5 and 6, Bouquet then faced off a large force near Jeannette at the dire, as well as strategically meaningful, "Battle of Bushy Run", and you can find the exciting results of that fateful encounter at the link above. Thus, no siege of Fort Pitt was attempted ever after and troops were being withdrawn by the early 1770's, though during the mid 1770's it was refortified and temporarily renamed Fort Dunmore in the dispute with Pennsylvania and Virginia, but renamed Fort Pitt once again when the state lines were decided on permanently in favor of Pennsylvania. There is more to be seen on the 'Disputed Land' section of this post. 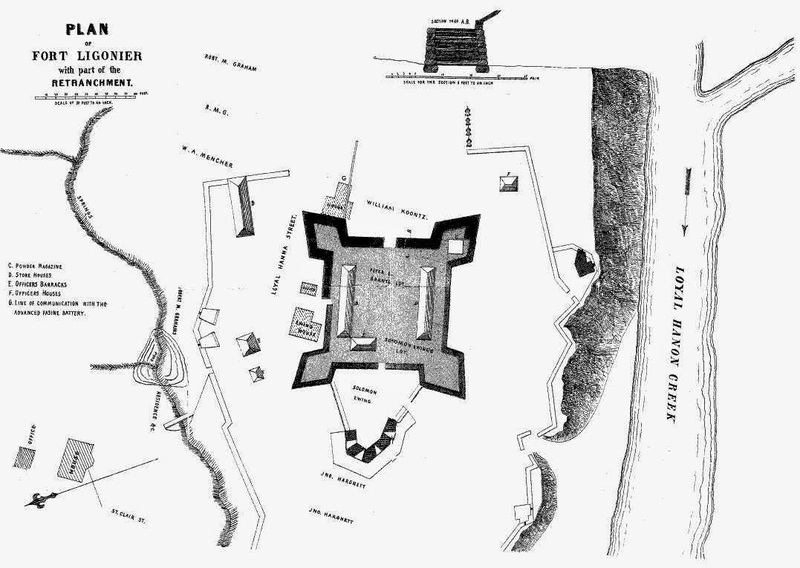 Eventually, Fort Pitt was to be decommissioned militarily and replaced by the temporary Fort Fayette, at Ninth Street and Penn Avenue, in 1792. The nearby Fort Pitt Museum from 1969, cited elsewhere, is at Point State Park in Pittsburgh. Check out the Senator John Heinz History Center for more details surrounding the exhibits and highlights with video included. Later, on October 3 in 1764, Bouquet headed a force into the Ohio country to fight the Indians, the Delaware, (from the east), the Shawnee, (from the south), and the Seneca's, (from the north). This was aborted by the attempt of the Indians to wisely sue for a delegation of peace and with a prisoner exchange, by the decision of the Indian Representative Sir Samuel Johnson. There was then no need for war after all. He then returned to Pittsburgh and had become a hero in Pennsylvania, without any fighting in this campaign. I t would suggest his reputation had preceded him! Unfortunately, he died from what was said to be yellow fever in Florida in the year of our Lord, 1765. He truly proved himself, under the able command of General Forbes, time and again, as a professional soldier of the realm. An interesting part of the colonial history of the fort is a narrative concerning Colonel Washington, who when out with a successful scouting party nearby, was mistaken for the enemy by the very man that was sent to assist him, Colonel Mercer. Shots and volleys were fired and there were Virginians killed in the dim light of a questionable action. George Washington later made the statement that he was as close to being shot here and in more mortal danger, than he ever knew of being involved in! Indeed, during this time Lieutenant-Colonel Mercer got embroiled with a party of some French and mostly Indians, a few miles from camp. Seeing the conflict was dire, Washington marched a group of volunteers near to them in the dark and they proceeded to attack each other. In the wild confusion Mercer, believing their party another deployment of the French, was involved in causing havoc and death to some. Washington appears to of made claims he deflected rounds with his sword. This was believed to of taken place,( according to the book, 'The Old and New Westmoreland, Vol. 1', on page 65), "where the Forbes Road crosses the Four Mile Run, about two miles south of Idlewild picnic grounds." Where did the enemy come from this time? From Ft. Duquesne, of course! The Fort was under the temporary command of James Burd, (1725-1793), of Redstone fame, while helping to build Fort Burd there in 1759. This was on what was an old Indian mound in Brownsville in the French and Indian War while the expedition of Forbes and Bouquet were underway. A story fascinating enoug to plan a future article on the subject. Burd himself was from near Edinburgh, Scotland. He had arrived here about 1748, and lived at Lancaster County, (named after Lancaster in England), and he became the Justice there. He first commanded at Fort Augusta near Sunbury and was eventually promoted to Colonel in 1758. He resigned in 1776 from active military duty complaining of lack of respect and having issues with his rank apparently as well. ( This comes from Cubbison, Douglas. The British Defeat of the French in Pennsylvania 1758). His son, Edward Burd was a Revolutionary War Major of the mobile and fast moving, 'flying camp' battalions. Edward later became involved with the Supreme Court. He worked out of Reading Pennsylvania. He had the humbling experience of being taken prisoner at 'The Battle of Long Island' and was later released. John Forbes, (1707-1759), was from Fife, Scotland. His firt rank of note was as a lieutenant in 1735 with old the Scotch Greys, a regiment of the Royal North British Dragoons. They were known to fight with muskets and bayonets. He had fought in the war of the Austrian Succession and the Jacobite Uprising in Europe. They rode on grey, (or gray), horses, possibly originating with the Dutch Horse Guards, hence the name. Fresh from battles in Nova Scotia, he was promoted to brigadier general. Here in Colonial America, his march to the west with an army of roughly 6,000 made him justly famous, with the accompaniment of Lt. Colonel George Washington and his second in command, Colonel Henry Bouquet, of Swiss nationality, with the Royal American regiment. This took in the added situation of possibly foolhardiness concerning the casualties of Major Grant's forces. Bouquet, originally from Switzerland, was from a well to do aristocratic family. Forbes, the brigadier general, was not at all well, in fact, he was slowly dying and the journey was the last important experience of his tragically shortened life. This goes to show just how heroic his outlook was and the feelings this engendered in his troops with such a tenacious sense of duty to the country. His invalid state certainly caused Henry Bouquet to take on a starring role, as he was actually forced to take care of much of the orders given by Forbes in the supervision throughout the long campaign. The more than 200 miles of road connected Philadelphia and Pittsburgh. Early on, he had a low opinion of the Pennsylvanians and their dislike of fighting wars on his entry in the state in 1756, although he managed fairly well, in spite of this. Like many of the old famous military figures, John Forbes has monuments of a sort named after him. For instance, the Forbe's State Forest District #3, which encompasses the area of Ligonier and is centered in Laughlintown, also extending into Somerset and Fayette counties. For a more detailed look at his history, please click here for a description from the PA Museum And Historical Commission. Washington was well known to be vocally against the Bedford route, strongly favoring the southerly Braddock Road from Cumberland. He wrote in a letter, (according to 'The Old and New Westmoreland,' Vol. 1'), "I am just returning from a conference with Colonel Bouquet. I find him unalterably fixed to lead you a new way to the Ohio, through a road, every inch of which is to be cut at this advanced season, when we have scarce time left to tread the beaten track, universally confessed to be the best passage through the mountains. If Colonel Bouquet succeeds in this point with the general, all is lost, indeed- our enterprise will be ruined and we shall be stopped at the Laurel Hill this winter; but not to gather laurels, except the kind that covers the mountains." The Father of our Country appears to of been rarely inclined to some degree of exaggeration, at least in this instance. On the other hand, Bouquet wrote in a letter from late November 1758 "I have been long of the opinion of equipping numbers of our men like the savages, and I fancy Colonel Burd, of Virginia, has most of his men equipped in that manner. In this country we must learn our art of war from the Indians, or anyone else who has carried it on here." I will try to extend further this very brief relation to the politics between some of the Virginians and Pennsylvanians as a more thorough explanation in another post, if you don't mind. Traveling from the outpost of Carlisle, PA, he and his men, through rugged, tree covered mountains, built the 300 mile long Forbes Road, through the mid-section of the Appalachian Mountains of the Eastern Continental Divide, specifically, the Allegheny Mountain area. Breaking off from the Kittanning Path, partly follwong the 'The Raystown Path' or 'Old Trading Path' near that branch of the Juniata River. This path connected the Ohio and Susquehanna rivers from old Historic Bedford, named for the powerful Duke of Bedford of England. Near the northern parts of Will's Mountain you will discover the natural scenery in an area of extreme beauty, at least, this is my own opinion. With large forests and steep cliffs, and numerous picturesque streams gurgling through peaceful meadows, and yes, a real taste of deep wilderness still survives. Based mainly on old Indian and packer trails to the top of the Allegheny mountains,with the help of part of the unfinished Burd Road, an ailing Forbes captured Fort Duquesne without a fight of any kind on Nov. 25, 1758 with 6,000 troops. This was caused by the strategic help from the abandonment of much of the Indian forces. Before this was the failed 'Battle of Fort Duquesne' involving Major James Grant of the First Highland Regiment. Later elected to the Parliament in Scotland, he was an outspoken critic of the American cause to the point of using insults. Despite a successful career with the British, one could safely say, in this war, the last laugh would be on him. The French decided to have the fort burned. Later settlers came east through the road, much the same route followed modern Route 22 and Route 30, many going as far distant Kentucky and West Virginia, places that became future adjacent states. 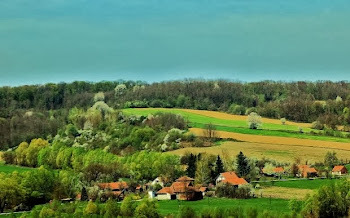 Some of the other paths connected the West Branch and the upper Allegheny as well and leading on to Native American villages in the interior the North west territory and of Ohio proper where the braver traders and hardy settlers came to build their log cabins. And soon the military were to follow the path of smoking ruins and bloody warfare with the Indians before the great migrations were long from settled. Forbes Field and Forbes Avenue in Pittsburgh were named in his honor. The Ligonier Highland Games take place at Altoona, off Forrest Street, near Lakemont Park every September and at Idlewild Park. They really prove very popular, like the 'Fort Ligonier Days' in the 2nd weekend of October every year. An exciting way to spend a day, with re-enactments, booths, music, redcoats, french troop, Indians and parade, yes! parades. (angular fortifications structured on outward projecting walls of which there are several types), containing the officer's quarters, the mess, guard room, barracks, etc. There are manikins used simulating different military personnel at their posts involved in various functions. The 'Regulars' were for the most part, (properly called the King's Regulars), enlisted from abroad. The provincials and local militia were recruits from the colonies themselves. A fascinating glimpse into the frontier world in a historically significant area is to be gained from this unique place. Recommended highly and, very much, worth a visit. More information can be gleaned from the Laurel Highlands Convention and Visitor's Center at 120 East Main St. and the Fort Ligonier website itself. I hope you enjoyed the article, maybe especially all the amazing prominent military characters being so closely associated with this particular region. This makes a man, and of course, a woman, very proud of their uniquely important historical past!